Wisetone has certified the EduHash Silicon Valley Labs (EduHash) Main-net blockchain, from scratch by Eduhash, can handle 1,196,966 TPS (transactions per second). With this latest development, EduHash demonstrates a validation of its technology through an ICT-authored testing institute. KOLAS / ILAC-MRA Performance Test Certificate requirements. 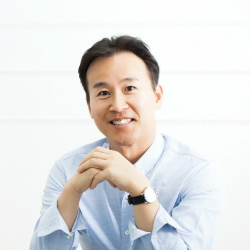 Daniel Ohn, CTO of EduHash, commented, "EduHash Main-net is a fully independent technology developed in-house by the EduHash team, and does not rely on mediocre open-source architectures. From the very start, the development team has made bold architectural changes and has been hyper-focused on performance, scalability, and flexibility. For long-term worldwide developer adoption, the team has also created the world's first DLT schema language (AXSL), which aims to painlessly support blockchain, traditional databases and connectable APIs in a single configuration." Wisestone is a Korean service provider which offers additional services and provides services. It has registered with the International Laboratory Accreditation Cooperation (ILAC) organization. KOLAS is the Korean Laboratory Accreditation Scheme, which is a member of ILAC. ILAC describes itself as "an organization that counts as its members laboratory accreditation bodies, regional organizations and stakeholders representing over 110 economies. The ILAC Mutual Recognition Arrangement (MRA) allows you to make a global network of testing and calibration laboratories and inspection bodies that have been accredited to provide accurate and reliable results. "The MRA supports international trade by promoting international confidence and acceptance of data generated by accredited laboratories and inspection bodies. Enter the new economy would be reduced. For example, the MRA supports international trade by helping regulators to recognize and support data that are driven by regulatory or public policy frameworks in sectors such as health, environment and others. " The accredited certificate issued for EdiHash follows international standards. It is, therefore, recognized by the 86 test institute members (covering the 72 countries that participate in the Mutual Recognition Agreement). The almost 1.2% TPS certified performance is, claims EduHash, currently a world-record. No other company has broken through the 1M TPS barrier in the official institute settings. EduHash has filed eight key patents in respect to its blockchain compute architecture. a link with DXC Technology. to UI builder (Data Connectable) where one can store enterprise data in private chains, with redundancy. James Jeon, Vice Chairman of EduHash, said, "EduHash's technology and its leadership have been recognized by DXC Technology. 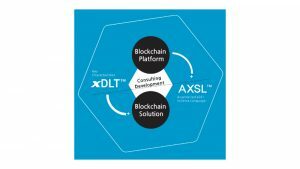 "Jeon then elaborated," EduHash and DXC Technology have formed a teaming agreement to lead the blockchain market. This certification will accelerate the company's expansion into a dominant market share in enterprise and governmental blockchain systems. " The race for high TPS throughput in an enterprise environment is on, and there are many players. To the limits of the knowledge of the Enterprise Times (ET), EduHash has achieved a first in having its throughput certified. On the other hand, there is no detail about the configuration, the testing environment, or even the tools used. While KOLAS and ILAC / MRA are indeed certifying bodies, it would help the EduHash cause if it was more explicit about how the almost 1.2M TPS throughput occurred. In addition, the EduHash web pages leave too much to the imagination. The net ET take on Eduhash's throughput is simple. The figures look good. The certifying authority is reputable. The supporting evidence is missing. In ET's view it should be detailed on the EduHash site, if enterprises are to believe.